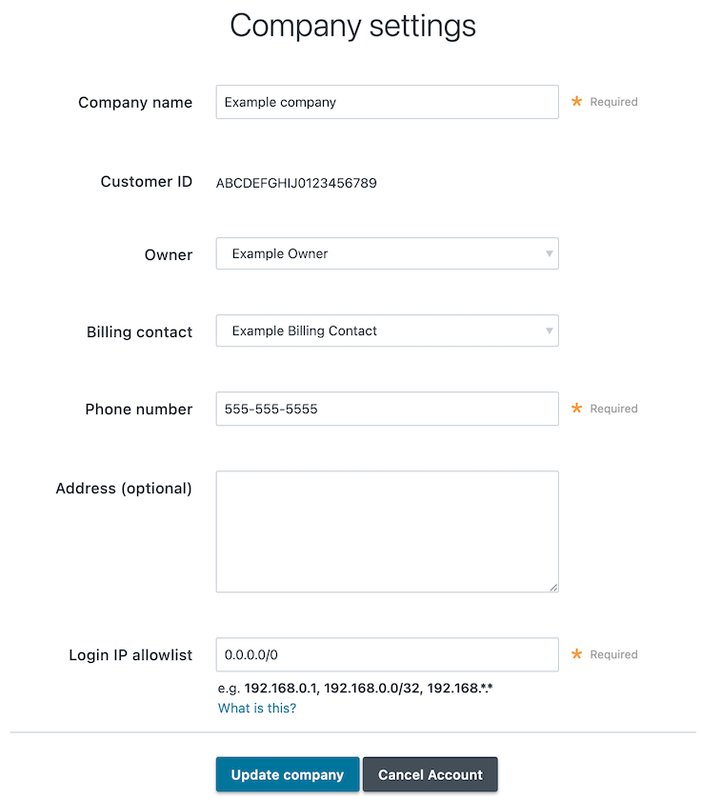 Account information, including your service ID and your customer ID (also called your company ID) can be accessed directly from the Fastly web interface. 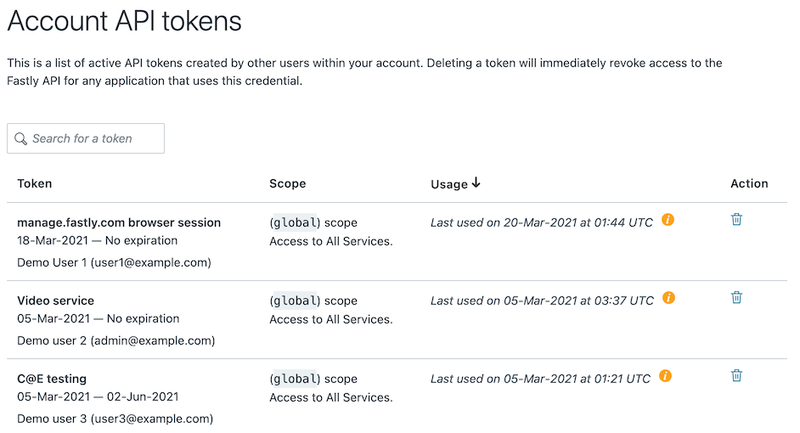 Your account's API tokens appear in the Account API tokens of your Account page, which you access by clicking the Account link in the user menu. Your Service ID appears next to the name of your service on any page.